class="page-template-default page page-id-91 samba_theme do-etfw wpb-js-composer js-comp-ver-4.1 vc_responsive"
An award-winning film editor on the Emmy-winning, Oscar and Bafta-nominated feature documentary Virunga and the critically acclaimed feature docudrama Out of Thin Air. Originally from Finland, I graduated from the National Film and Television School (UK) with an MA in Editing. I’m also an alumnus of EAVE, the Berlinale Talent Campus and the London Film Festival Think-Shoot-Distribute scheme. My editing work spans fiction and documentary films that have won over 100 international awards. The films have been in official competition at the Cannes Film Festival, Venice Film Festival, Berlin Film Festival and Sundance Film Festival, broadcast on the BBC, HBO, Channel 4, Film4, ITV, Canal+, Al Jazeera, Star, YLE Finland and RUV. Apart from English, I have edited films and documentaries in many languages including Finnish, Icelandic, French, Kinyarwanda, Mandarin Chinese, Japanese, Hindi and Swahili. My editing on the award-winning hybrid feature The Nine Muses (dir. 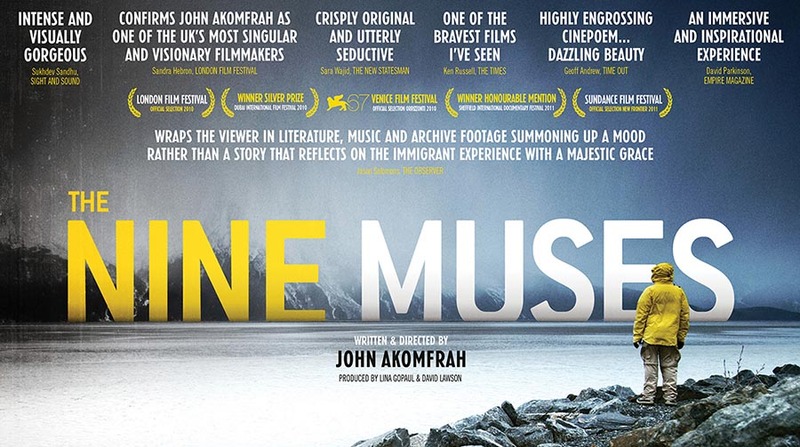 John Akomfrah OBE) was highly praised by the critics. David Parkinson from Empire Magazine wrote: “The mix of spoken word and music is as rich as editor Miikka Leskinen’s visual blend, which often dazzles with its audacity”. Nana Yaa Mensah from the New Statesman echoed his sentiment: “The Nine Muses is superbly edited by Miikka Leskinen”. Notable film editor projects include the Emmy-winning, Oscar & Bafta-nominated Netflix feature documentary Virunga and the critically acclaimed Netflix/BBC feature docudrama Out of Thin Air. The critically acclaimed Out of Thin Air had its UK cinema premiere in June 2017 followed by broadcast on the BBC and worldwide release on Netflix in September 2017. Screen Daily gave the docudrama a glowing review, calling it “a fascinating compelling thriller” and that “In terms of its pacing, focus and ability to condense complex information, Out Of Thin Air starts to resemble a David Fincher film like Zodiac”. Most recently I edited all four episodes of the murder mystery TV series The Talwars: Behind Closed Doors for HBO Asia and Star India. Marking the first original docudrama series for both channels, the programme premiered in the Sunday evening primetime slot in November 2017, becoming an instant critical and viewing figures hit. In January 2018 the series won Best Foreign Documentary Award at the China Academy Awards for Documentary, also known as the ‘Chinese Oscars’. The awarding jury praised the series for its cinematic and narrative style in creating a gripping crime story with artistic merit and social value. In December 2018 the series won Best Documentary Series at the Asian Academy Creative Awards and I also received a Singapore win and a pan-Asian nomination for Best Editing. Commercial clients include the Tate, Vogue, Bafta, British Council, Film London, Christie’s London & New York and the American School in London.